Kudlu gate, Bangalore, India- 560068. Experienced datawarehouse professional for 7.5 years. Certified Big data-Hadoop and Python Trainer. 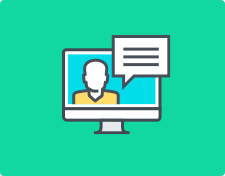 I have trained more than 150 students through class room and online trainings through multiple mediums. My training methodology will be on increasing the analytical skills of the students, so that they can write any kind of program in any language. Focusing on the real case scenarios had helped many of students to clear the interviews. Programming basically starts from thinking logically and executing it in the proper way. I have an industry experience of python for three years and have handled multiple projects as well and hence can share you many real-time cases with the students. When it comes to training a programming language, it all comes down to hands-on and how logically you are thinking. In my training sessions, I will be focusing mainly on these areas. Also will share multiple documents handwritten by me, which ideally helps the students in coming up with a clear idea on the syntax and the method of solving the problems. "I had done Hadoop course. Priya mam taken training for us. She had good knowledge in bigdata and jave.She teach us very well and also she is friendly too.We can ask doubts any time and she will clarify that soon.Also she will help us to learn these bigdata concept,since it is very difficult to learn beginner's. Getting practical knowledge is very important, when we are doing any course.So from the beginning of the class itself Priyamam installed all the softwares in our laptops.That help us to learn as practical way. " "I was trained on Hadoop by Priya mam. She's exceptional in delivering the concepts. Her way of explaining complex concepts is highly appreciable. I would highly recommend to avail her trainings for your endeavour. " "People click is a very good institution, they teaches very well,we can get practical knowledge . There way of teaching is very nice. " "I was very comfortable and free to clear my doubts. The important thing about mams lecture were the real time examples mam gave. I feel confident of whatever i have learnt from priya mam." In IT industry one of the ever green language is Java. I have around 8 years of IT experience and also teaching students for the past 2.5 years many technical courses. Considering the current market, if you want to withstand in the IT industry go for JAVA course. Also Python is one of the leading language and a much easy one compared to the previous generation languages. So my vote will be to JAVA and PYTHON. All the best!!! I'm a certified Big data and Hadoop professional. I can handle in detail concepts of big data and hadoop. Rather than just going through the slides, i will use a special technique called "WHITE BOARD" where the student will get more insight on what the trainer is trying to convey. I have around 5.5 years of experience in data warehousing field in WIPRO Technologies. 1. Have handled more than 2 data warehouse projects from scratch like fetching the business requirements, analyzing the data and planning the data warehouse construction etc. 2.Implemented two DWH projects through control-M scheduler tool. 3.Implemented unix scripts to trigger the datawarehouse jobs. 4.Instead of data stage jobs , implemented the business logic even through SQL. 5. Mentored a batch of more than 10 members about data warehouse techniques. 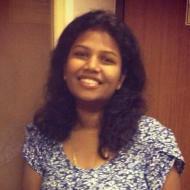 Silvia Priya describes herself as Big Data,Hadoop and Python Trainer. She conducts classes in Big Data, Data Warehouse and Python Training. Silvia Priya is located in Kudlu gate, Bangalore. Silvia Priya takes Online Classes- via online medium. She has 5 years of teaching experience . Silvia Priya has completed Bachelor of Engineering (B.E.) from Anna in 2006. She is well versed in Tamil and English. Silvia Priya has got 12 reviews till now with 100% positive feedback.